Nutrition is a topic of wide interest and importance. In spite of growing understanding of the underlying biochemistry, and health campaigns such as 'five-a-day', increasing obesity and reported food allergies and eating disorders, as well as the widely advertised 'supposed' benefits of food supplements mean that a clear explanation of the basic principles of a healthy diet are vital. 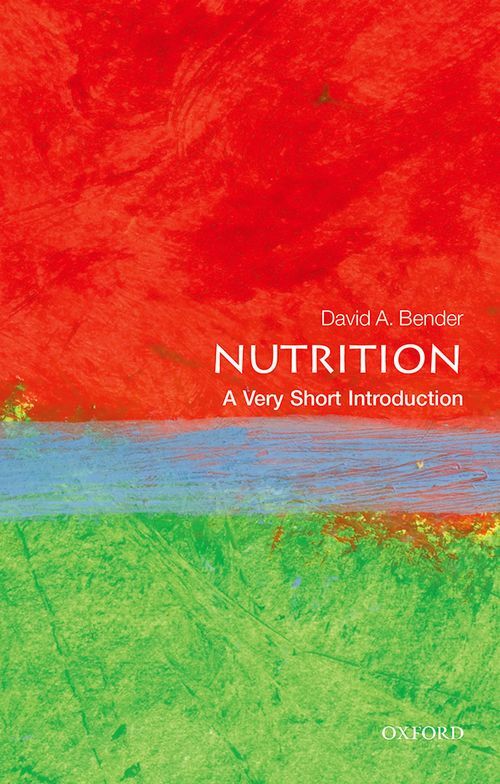 In this Very Short Introduction, David Bender explains the basic elements of food, the balance between energy intake and exercise, the problems of over- and under-nutrition, and raises the question of safety of nutritional supplements. David Bender has authored and co-authored several texts on nutrition, including Introduction to Nutrition and Medicine (CRC Press), now going into its 5th edition, the A Dictionary of Food and Nutrition (2009), and Food Tables and Labelling (1999, with Arnold E. Bender). His research interests have been in the field of amino acid and vitamin nutritional biochemistry.